Summer has traditionally confronted coffee drinkers with a serious dilemma: sacrifice a caffeine boost, or make a scalding day even sweatier with a hot cup of coffee. Thanks to the recent ubiquity of cold brew, that scary and sleepy reality is a thing of the past, but now coffee shops across the country are evolving the cold coffee craze to include creative java-fueled cocktails that would make an old-school Folgers drinker do a spit take. Here are 13 such cold coffee concoctions from across the country to help you stay equally cool and caffeinated. Revelator is spreading like wildfire across the South thanks to their design-minded shops and meticulously sourced coffees. 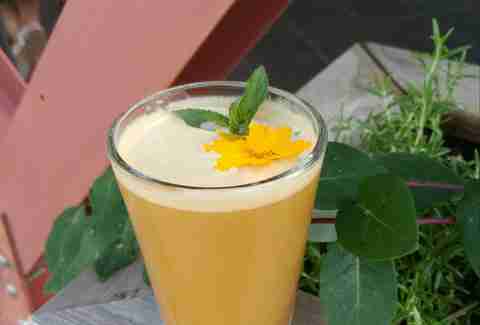 Adding to their arsenal, which also includes a locally influenced food menu for each shop, is the Cold Brew Fizz, a slim, canned, carbonated soda comprised of their cold brew concentrate, lemon, lime, cherry, and tangerine. Colombian roasters and importers Devocion serve arguably the freshest coffee anyone will ever drink thanks to a unique program that ships beans direct to their store two weeks after harvest. Critics may scoff at their premium espresso shots (which can range up to $10! 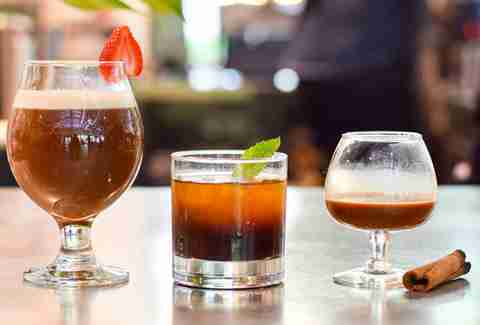 ), but they can cool their jets with a new cold offering: a sparkling cascara, which takes the cherry and mucilage of an unroasted coffee bean and treats it like tea, carbonates it, and puts it on tap. Bonus points for having more antioxidants and caffeine than a traditional coffee. While the citizens of Cleveland mourn the defeat of The Great One, they can thankfully find solace in a great cold drink from Phoenix Coffee. The Sparky mixes espresso with freshly squeezed lime juice and Q tonic water, an ode to an Australian-run coffee shop in Brooklyn, which is the essentially the most Brooklyn thing ever. The baristas at PT’s taste notes of peaches, caramel, and sugar cane in their Southpaw espresso, and enhance those flavors with lemon sage syrup and sparkling water. The result is a refreshing bubbly drink with just a bit of head created by the crema from the meticulously brewed espresso. Nashville is becoming one of the hipster epicenters of the South, and Barista Parlor might just be ground zero. Now with three shops and a roasting operation, their coffee program is as serious as it gets (also don’t miss the biscuits!). 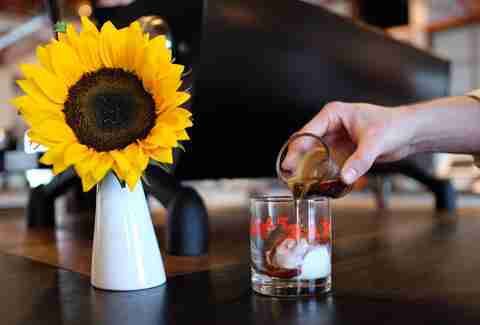 The featured seasonal drink is a riff on the classic coffee plus ice cream combo called an affogato. Theirs is made with Jeni’s Lemon Blueberries Buttermilk frozen yogurt along with a sidecar of their Daredevil house espresso. 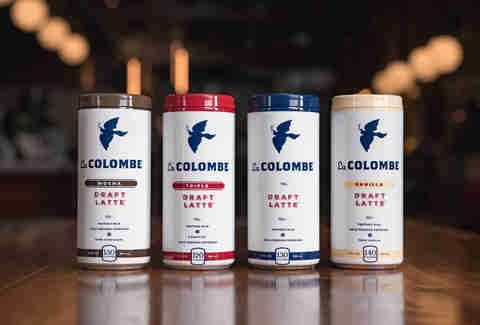 Philly-based La Colombe is one of those coffee shops that might take over the world, and rightfully so with innovations like the Dragon brewer, canned lattes, and Pure Black and White cold brew. Their draft latte made waves in the coffee world in 2015, and this summer they’re unveiling two new flavors -- coconut and coconut mocha. From Santa Cruz to Tokyo, Verve is one of the most respected names in coffee. 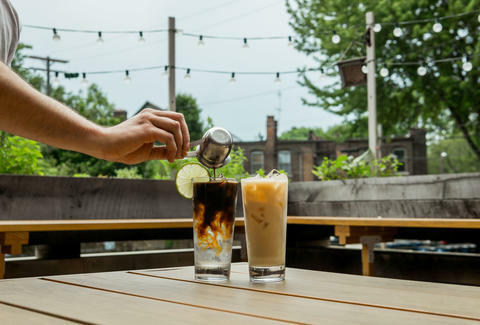 Their menu typically lets the beans do the talking, but for summer the move is their signature Missile, a dose of their cold coffee concentrate brewed using the Seabright House Blend spiked with house-made Turbinado sugar syrup. The result tastes like a mix of vanilla and caramel, with a striking similarity to melty ice cream. Madcap’s wholesale operation means their beans are available all over the country, but for their creative take on coffee drinks you need to visit one of their three Grand Rapids locations. The drinks change regularly, but the current stand-out is the Sunday Afternoon, a stirred special made with their Third Coast espresso, simple syrup, cucumber water, and a mint garnish in a rocks glass. Cold brew is more popular than ever, which naturally means true coffee nerds need to move onto another way to get their cool coffee fix. 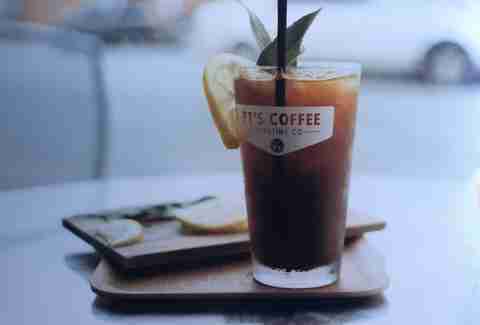 Japanese iced coffee is the new trend, which basically amounts to a pourover brewed directly onto ice. The baristas at Houndstooth have been serving it since they opened back in 2010, but it's only this summer they've taken it to the next level at their downtown Austin location by blending it in a slushie machine with cane sugar, and garnishing it with blood orange and Luxardo cherries. 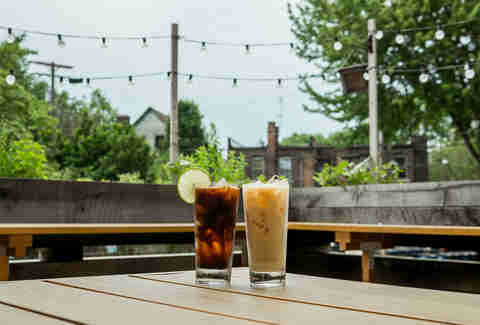 Milktooth has earned numerous accolades as one of the best cafes in the Midwest for coffee as well as booze and breakfast, partly because the baristas are always dreaming up new ways to keep their customers lifted. The latest is A Cold One, which uses espresso, coconut water, coconut milk, vanilla bean syrup, and most importantly rum, shaken with ice. Denver might not be the first place people would look for iced coffee, but Novo’s nitro cold brew has garnered a huge local following. The creamy on-tap drink has a consistency close to a Guinness, and it’s even better when amped up in their iced Irish coffee, which includes a house-made Irish cream featuring Fireside whiskey and Ritual chocolate. Memphis’s City and State combine a third-wave coffee shop repping Intelligentsia beans with retail operation selling artisan American goods ranging from wool blankets to cutting boards. 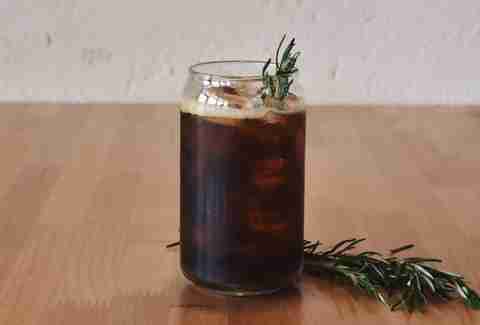 Their summer menu boasts some genuinely unique drinks, most notably the Cherry Coffee Cola, which mixes toddy, cherry simple syrup, and rosemary with a kick of carbonation. One of the many ways that Dark Matter breaks the coffee roasting mold is with their head-scratching use of hops. They make their double-strength cold brew in 5 gallon batches and add one of the most recognizable IPA flavors: Citra hops. Once the brew is complete, the liquid gold is nitrogenated and kegged, then served on ice. And if you can’t make it to their cafe, Dark Matter also boasts an online shop selling their beans fermented with everything from Citra hops to Saison yeast. Dan Gentile is a freelance writer based in Austin, TX. He drinks Kalita Wave in the morning, Japanese-styled iced coffee from a Chemex in the afternoon, and is searching for another pretentious coffee drink to enjoy after dark. Follow him to tweets and disco and barbecue at @Dannosphere.